AnnaBelle Fulmer (known as “Bo” to her family) passed away on Sunday, March 31, 2019 in Gaithersburg, MD at the age of 95. Born in Manchester, NH, AnnaBelle and her family (parents James and Mary Ann Todd; sister Barbara; and brother Hugh) split their time between their home in Larchmont, NY and their “bottle house”in Manchester (a three-story Moxie bottle display brought across the frozen lake from Pine Island Amusement Park and attached to their home to provide three highly coveted bedrooms). Annual family reunions took place every August in Manchester, culminating in a corn roast for family, friends, and neighbors. 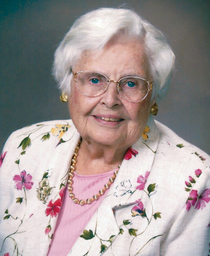 After graduating from Bethany College (WV), AnnaBelle pursued a professional career in ballet, was one of two women admitted to NYU Law School, and married her college sweetheart, John W. Fulmer, when he returned from service in World War II. She was also an artist, who captured the beauty of nature in sculpture. After her husband’s death in 1983, AnnaBelle maintained her own home in Leisure World (Silver Spring, MD) until her death. A fiercely independent woman, born a century before her abilities would be properly recognized, she always fought the good fight and did not go gently into that good night. She fought with every fiber in her being to remain a vibrant family and community member. AnnaBelle is survived by her two children (Robert Fulmer and Joyce St. Giermaine), two grandchildren (Robin and Chelsea Howe), and two great grandsons (Jackson and Hudson Blanco). The smell of her house at Thanksgiving, the little Christmas tree with her much-loved vintage decorations, her always expanding collection of toys and art supplies for her great grandchildren, her sharp wit, and the sound of her voice offering comfort and advice will be missed. She was so loved. Services will be held Thursday, April 11, 2019 at 11am at the Inter-Faith Chapel, 3680 S Leisure World Blvd., Silver Spring, MD 20906. All are welcome.